Born to a wealthy Castilian family with Jewish ancestry. Studied law at the University of Salamanca from age 14, and felt a call to religious life. Studied theology and philosophy at Alcala, Spain at age 17. Lawyer. Following the death of his parents, he liquidated most of his large fortune, and gave it to the poor. Ordained in 1525. He wanted to be a missionary in the West Indies and Mexico, but became a travelling preacher in Andalusia for 40 years, re-evangelizing a region previously ruled by the Moors. He spoke boldly against the sins of the ruling classes, made powerful enemies, and at one point was imprisoned in Seville, Spain by the Inquisition, accused of false teachings; the charges were dismissed, John was released, and his preaching became more popular than ever. Spiritual director of Saint Teresa of Avila, Saint Francis Borgia, Saint John of God, Saint John of the Cross, Saint Peter of Alcántara, and Saint Louis of Granada. Writer whose works continue their influence today. Declared a Doctor of the Church by Pope Benedict XVI on 7 October 2012. Son of a small farmer. Studied at the college at Braine-le-Comte, Belgium. Joined the Picpus Fathers on 7 October 1860, taking the name Damien. Seminarian in Paris, France. Volunteered for missionary work while still in seminary, and was sent to Hawaii. Ordained in Honolulu on 24 May 1864. Missionary on islands where his single parish was the size of all of his native Belgium. Resident priest in the leper colony on Molokai where for years he worked alone to minister to the patients' spiritual and medical needs. His work turned a wretched dump for the unwanted into a real community with the best treatment of the day, and patients who lived strong spiritual lives. He contracted leprosy in 1885, and though severely crippled by the disease, Father Damien worked until the end. Drafted into the army in 1917, Vasile fought in the front in Galacia and Italy in World War I. In 1918 he began studying law in Bucharest, Romania, but in 1919 gave into a call to the priesthood and began studying theology at the Pontifical Greek College of Saint Athanasius. Ordained a priest in the Romanian Greek-Catholic rite in Fagaras si Alba Iulia, Romania on 1 January 1926. Taught at the Theological Academy in Blaj, Romania from 1926 to 1934. Dean of the seminary in Bucharest in 1934. Cathedral canon in Blaj in 1937. Rector of the Theological Academy in 1939. Chosen auxiliary bishop of Fagaras si Alba Iulia, Romania and Titular Bishop of Ulpiana by Pope Pius XII on 12 April 1940. Apostolic administrator of Fagaras si Alba Iulia on 15 June 1941. Arrested on 28 October 1948 in the Communist persecutions, he was imprisoned first in the Dragoslavele work camp, and then in February 1949 placed in solitary confinement in the Caldarusani monastery outside Bucharest. Beginning on 10 May 1949, he was subjected to a year of repeated torture which left him mutilated and crippled, broken in his physical and mental health; his faith never flagged. Martyr. Educated in Banja Luka, briefly in a military academy, and in Vienna, Austria. Fought on the Italian front of World War I. After the war he studied again in Vienna, in Paris, France, and then taught French language and literature at the University of Zagreb, from which he received his Ph.D. in philosophy. Though he decided to remain a layman in the world, Ivan took a vow of celibacy, and devoted his free time to the Church. He taught young Croatians, and spoke and wrote to evangelize all Croats. He worked for liturgical revival, and helped institute Catholic Action in Croatia. Second of five children born to an upper class family in the Lombard region of modern Italy. A pious young man and good student, he had a mystical outlook on things, and was subject to bouts of depression. At age 18 Enrico felt a call to the priesthood, but his family, especially his father strongly objected. However, they finally relented, and at 24 Enrico began his studies at the seminary in Como, Italy. He studied at the Lombard College and Gregorian University in Rome, Italy, and proved an able student, but a crushing bout of depression sent him back to his family home and finally to a nursing home for recovery. 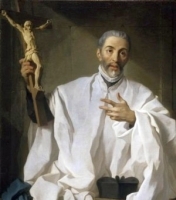 When he was back on his feet and ready to return to his studies, Enrico re-examined his call to religious life, and, with the help of his confessor, decided to work with the Camillians, a congregation dedicated to the sick; he began his novitiate at age 27. With special dispensation from his bishop, the future Pope Saint Pius X, he was ordained a priest on 14 April 1889. He ministered to the sick in Verona, Italy from 1889 to 1899, making his solemn Camillian vows in 1891, and then served at the San Camillo di Cremona nursing home the rest of his life – almost 40 years. He served as treasurer of his community for 34 years, and superior for 11. Father Enrico’s life was one of prayer and service in the day to day needs of other people. Son of Sedna. Soldier. Spiritual student of Saint Fintan of Clonenagh and Saint Kieran at Clonmacnoise. Friend of Saint Brendan, Saint Cormac, Saint Kevin of Glendalough and Finbarr of Moville. Ordained by Saint Lughaedh of Conmacnoise. Spiritual teacher of Saint Cronan Mochua. He and a few brother monks lived a very strict and austere life on an island on Lough Erne. Among other houses, he founded the monastery at Bangor, County Down, Ireland in 552 and served as its first abbot; at one point it housed 8,000 monks. Life there was harsh and adherence to the Rule strict, but the brothers were very close, and were encouraged to help and support each other. Spiritual teacher of Saint Blane, Saint Cainnech, Saint Columbanus, Saint Deicola, Saint Fintan of Doon, Saint Gall, Saint Lactali, Saint Lua of Limerick and Saint Mochoemoc. Missionary to Scotland and the Picts. A reported miracle worker, Comgall is said to have blinded a band of thieves as they approached the monastery, but restored eye sight to a penitent man. Received Holy Communion on his death bed from Saint Fiacra. Ninth-century liturgical writer. A pupil of Alcuin at Aix-la-Chapelle, Germany, he was bishop of Trier, Germany from 811 to 813, and later ambassador to Constantinople. He lived at a time when the liturgy was changing, when fusion of the Roman and Gallican uses was taking place, and he exercised a remarkable influence in introducing the present composite liturgy which has supplanted the ancient Roman Rite. The chief merit of his works is that they have preserved much accurate and valuable information on the state of the liturgy at the beginning of the ninth century and are therefore useful sources for the history of Latin rites. Born to the dynastic house of Este. Aunt of Blessed Beatrix of Este the Younger. Nun in the convent of Santa Margherita at Solarolo, Italy. Feeling a need for more seclusion, she took over a deserted monastery at Gemmola, Italy, and founded a new convent where she apparently spent the rest of her life. Roman judge. Adult convert to Christianity. Tortured and martyred by order of the Roman prefect Apronianus during the persecutions of Julian the Apostate. Priest. Martyred in the persecutions of Emperor Alexander Severus. One of the Roman catacombs is named for him. Brother of Saint Cyrinus and Saint Philadelphus. Martyred in the persecutions of Decius. Brother of Saint Alphius and Saint Philadelphus. Martyred in the persecutions of Decius. Brother of Saint Alphius and Saint Cyrinus. Martyred in the persecutions of Decius. Born to the nobility. Secular Mercedarian knight. Ransomed 200 Christian slaves from the Saracens in Muslim occupied Granada, Spain in 1284. Roman imperial consul. Martyred with his wife, children and 42 members of his household, whose names have not come down to us, in the persecutions of Emperor Alexander Severus. Roman imperial senator. Martyred with 68 members of his household, whose names have not come down to us, in the persecutions of Emperor Alexander Severus. Old Testament Patriarch. 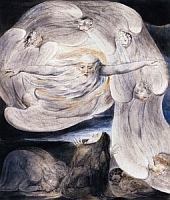 The man "simple and upright and fearing God and avoiding evil" who figures in the canonical Old Testament Book of Job. Married to Saint Blanda of Rome. Martyred in the persecutions of Emperor Alexander Severus. Married to Saint Felix of Rome. Martyred in the persecutions of Emperor Alexander Severus. Spiritual student of Saint Martial of Limoges. Bishop of Limoges, France. May have been a Benedictine monk. Priest. Hermit at Pontoise, France. Studied law. 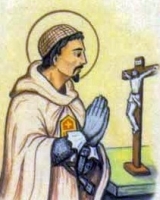 Carthusian monk in 1394. Prior of several Carthusian houses. Ordained in June 1404. Chosen as reluctant bishop of Bologna, Italy on 5 January 1417. Papal diplomat with missions to France and Lombardy, Italy. Archbishop of Bologna in 1418 against his will. Elevated to cardinal-priest of Santa Croce in Gerusalemme on 24 May 1426. Known as a peacemaker. Mediated between the emperor and Pope Martin V, and the French king and Pope Eugene IV. Prominent in the Council of Basel and Council of Ferrara-Florence. Active in the negotiations that brought reunion of the Greek Church with Rome at Ferrara-Florence. Generous patron of learned men. Wrote several theological treatises, and encouraged academics. Chief penitentiary to Pope Eugene IV. Archpriest of the Basilica of Saint Mary Major in 1440.